My recent trip to Marrakech with Kin Workshops was inspiring as ever. I adore Morocco and fell in love with this magical country over four years ago when I first started working with the incredible Boutique Souk, the Marrakech Magic Makers! 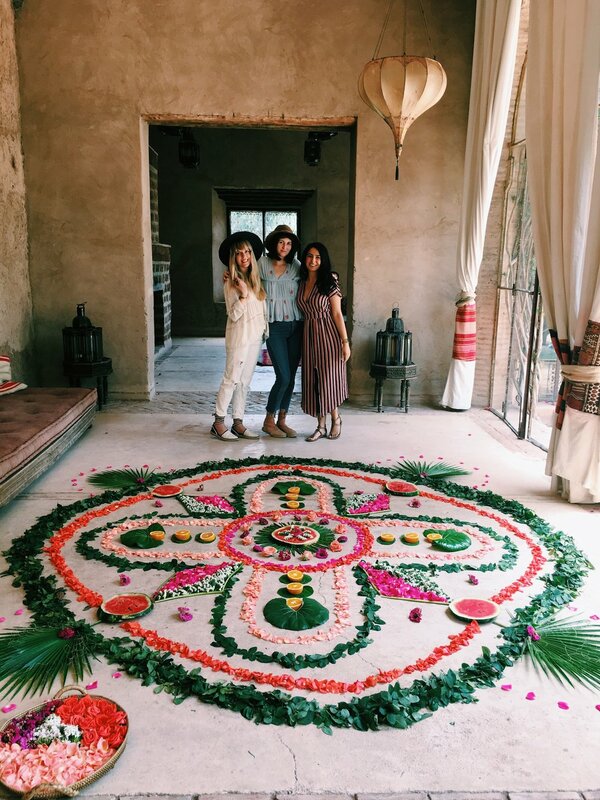 Maybe May and I (co-founder of Kin) teamed up with them for a fun collaboration - creating a giant floral Mandala at the beautiful Beldi Country Club. We used Moroccan roses, fruits and palm leaves to create a colourful installation that was almost good enough to eat!